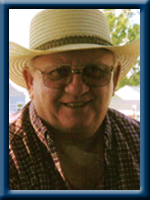 Mossman – Alexander Sydney Ford “Sandy”, 71 of Liverpool, Queens County, passed away peacefully at home on Sunday, September 29th, 2013 . Born in Liverpool, he was a son of the late Leo and Elizabeth (Whynot) Mossman. Sandy was a plumber for over thirty years working both locally and throughout the province, especially in Cape Breton. He enjoyed woodworking and will always be remembered for having a smile even in his most difficult days. He is survived by his wife of 46 years Beverly (Muise) his daughters Amanda (Kirk) Shupe of Charleston, Heidi of Halifax, his sons Scott (Paula) of Waverley and Danial of Liverpool. His grandchildren Madison Shupe, Ethan Mossman and Chloe Mossman. His sisters Virginia “Ginny” Leslie of Plant City, Fla. Marguerite Leslie of Port Hastings, Barbara (Bill) Scobey of Mersey Point, Norma Kennedy of Liverpool, Maureen Schnare of Hamilton, ON. His brother Earl (Sharon) of Liverpool. Sorry to hear the news but now he won’t be suffering anymore with this terrible disease. Thinking of all of you, keep your memories. Bev & Family: Sorry to hear of Sandy’s passing. Our prayers and thoughts are with you and yours during this difficult time and always. Earl, Sharon & Family: So very sorry for your loss. My most sincere sympathy at this most difficult and sad time. May God Bless. Sorry to read about your brother, did not know him. I worked in connection with Earl’s wife Sharon at Stenpro. To Maureen and the Mossman family. I am so truly sorry to hear of Sandy’s passing. May he R.I.P. Thinking of you at this difficult time. Sandy always had a big smile, that made everyone else smile. I am so sorry to hear of Sandy’s passing. No words can make things feel better right now but I want you all to know that when Amanda and I were going to school and we were inseparable, I always felt at home with you all. Sandy always looked out for me and worried about me just like I was his own daughter. Please know that even though I haven’t seen much of any of you since Amanda and I graduated, I still think of you all often. You are in my thoughts and prayers. Barbara and Norma; We were sorry to hear about Sandy. Our thoughts and our prayers are with your families. to sandy’s family and all his sisters and brother. i am so sorry about sandy. he was such a nice and caring man. always smiling even if he was down on himself where he was so sick. now he is with all his family and also his uncle ross whynot who will always be a part of sandy’s life even in death as my dad always said sandy was the life of any party he went to even at house parties his parents gave. rest in peace sandy. your dad and mom is waiting with open arms as well as your uncle ross. Aunt Bev, Scott, Amanda, Heidi and Danny. May your memories of all the good times keep Sandy close to you in thoughts and ln your heart to help you through this difficult time. So very sorry to hear of your loss. Sounds like Sandy was a great guy, loved by many people. I’m sure your happy memories will help you through this very sad time. Sorry to hear about Sandy’s passing, should you need anything I am only a doorstep away. Take care. So, sorry to hear about Sandy, Bev and family. He will be missed a lot, by every one. He always had a smile no matter what was going on. We have lots of good memories of Sandy Mossman. Take care. So very sorry to hear of Sandy’s passing. Our thoughts and prayers are with you at this time. Bev and Family, my sincere condolences to you on the passing of Sandy, may you cherish your memories and know that I will miss visiting you. So sorry to hear of your loss.Our thoughts and prayers are with you all. Bev and Family; I am so sorry to hear about Sandy. You and all the Mossman family are in out thoughts and prayers. Sincere sympathy to all. So very sorry to hear of Sandy’s passing. Our thoughts and prayers are with you and your family at this time.Love Evie ,Ed,&FAMILY. Sending deepest sympathy. Will always remember his humor and his great laugh……He is in a better place now. In the arms of the Angels… Bless you all.. Sorry to hear of Sandys passing, I have known Sandy all my life and have never hear him carry a conversation with out having laughter in it. He will be missed. Our sympathy goes out to his whole family. Please accept my sincere sympathy on your loss. My thoughts and prayers are with you. To Bev and family. We were sorry to read of Sandy’s passing. He will RIP now. God Bless in the days/months ahead. I am so sorry to hear of Sandy’s passing. He’s in a much better place &no longer suffering. My thoughts & prayers are with you all at the sad time. May God bless you all. Our deepest sympathy at your loss. May you find comfort in each other during this dark and painful time. Heidi so sorry to hear of the loss of your dad..take care..
To all the family, sorry to hear of the loss of Sandy. My prayers and thoughts are with you. Danny,on behalf of all the members of the Liverpool Fire Department we offer you our prayers and thoughts with the passing of you father. NORMA…..SO SORRY TO HEAR OF YOUR BROTHER”S PASSING…GOD BLESS!!! Bev, Scott, Amanda, Heidi and Daniel; throughout all the years of friendship between our families, Sandy’s infectious laugh and good humour was a constant and although these past few years have been so difficult for him, and for you all, your love for and commitment to him was just as constant. May he rest in peace and may your happy memories of Sandy help to begin the healing. We are so sorry for your sad news. Please pass on our sympathies to all families. God bless you all. Although, I haven’t lived in Liverpool for many years I did hear of Sandy’s passing through other sources. I wanted to extend to you and your family our deepest sympathy on your loss. May the love and support of your family and friends see you through this difficult time. Sorry to hear about Sandy. Our thoughts are with all the family. We are very sorry to hear of Sandy’s passing. Our prayers and thoughts are with you all. Sorry to hear about sandy. I remember all the talks you and I had. My thoughts and prayers are with you and your family. I am so sorry that Sandy has passed away. My thoughts and prayers are with the whole family at this very sad time. Sandy is at peace now. sorry for the loss of Sandy! thoughts and prayers are with you Danny Bev Heidi Scott Amanda and the rest of the family.! Sorry to hear of Sandy’s passing. My thoughts and prayers are with all of you at this time. God Bless. Bob and I extend to our nephew Kirk and his wife, Amanda, re- the loss of her father, and to her mother, Beverly and all the Mossman family, our heartfelt sympathy and sincere condolences. My thoughts and prayers are sent to all of you at this most difficult time. Heidi and the rest of the Mossman family… I was shocked to see this on here. Didn’t know that Sandy wasn’t well. Your Dad spend a lot of time over to our house when we lived up by him. He was a great man and will be missed by many . Dear Bev & family, I am so very sorry for your loss. I will always remember Sandy’s laugh and his smile that could light up the room even on the days he probably wasn’t feeling the best. You provided the best care and Sandy was home where he wanted to be. God Bless you. Bev and family….sorry to hear of your loss. Sandy was a great person and will be fondly remembered. Your family is in our prayers. sorry to hear of Sandys passing. our thoughts and prayers are with you. Amanda and Family ……. We are so sorry to hear of your father’s passing. Our thoughts and prayers are with you all at this difficult time. Bev and family,sorry to hear of Sandy,s passing.I just found out today, take care.